Cybertours are a wonderful opportunity to learn new things or review ones you already know. They are held in the Exhibit Hall, so they’re available to anyone with an Exhibits Only pass. 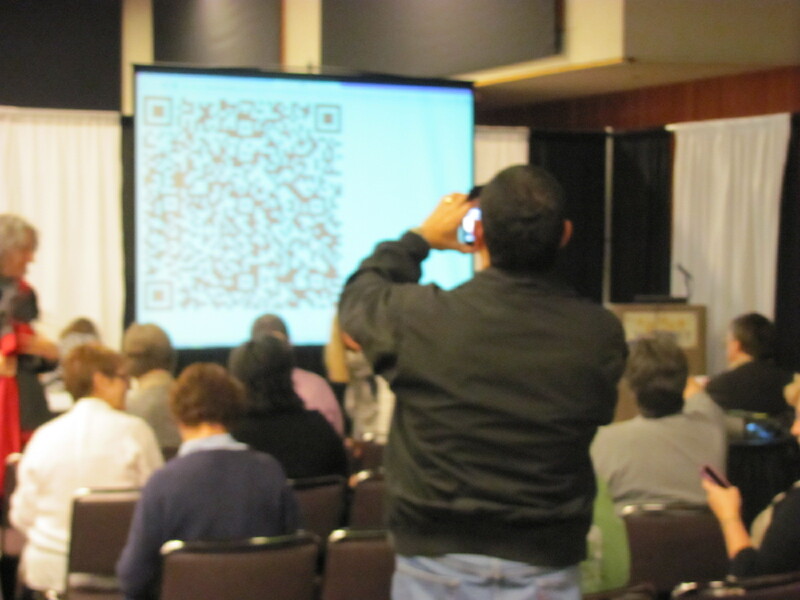 I went to the first CyberTour–a standing-room-only crowd–conducted by Jezmynne Denes on QR Codes. 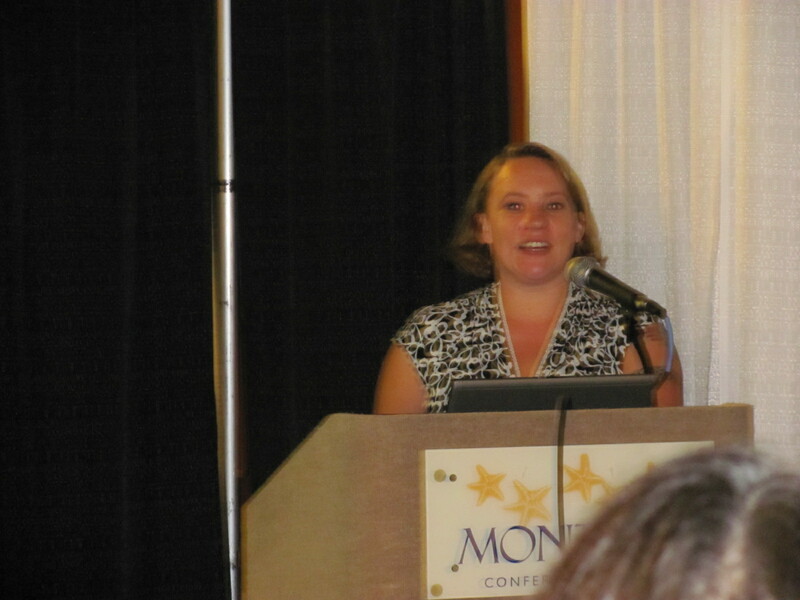 She demonstrated how QR Codes can be used to look up information or for marketing (especially in libraries), how you can create them for yourself, and how you can find a reader for your Smartphone. The CyberTours are a wonderful opportunity to learn new things in a short time.